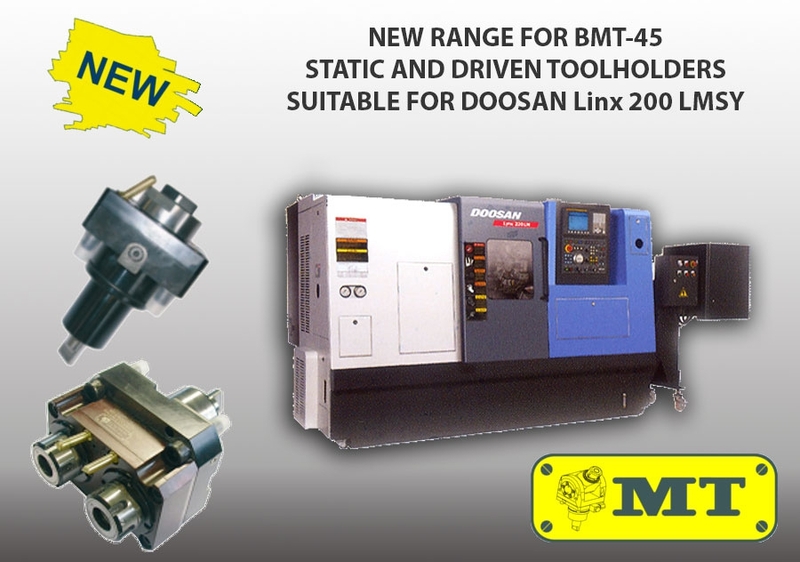 We increased the range of available models for Doosan machines with BMT-45 interface, like the Lynx 200 LMSY. Concerning the driven toolholders, we introduced the double output toolholders axial and radial with ratio 1:1 and ER-16 collet. Concerning the static toolholders, we introduced the double radial, the double with offset and the double and triple boring bar holders, both metric as well as in inches. OUR RANGE IS NOW MORE COMPLETE! The detailed catalogue is available in the download area.